Webmaster News - Edition 02 - January 28, 2019. Published: Jan 28, 2019. 18:20 UTC. Current: Edition 02 - January 28, 2019. Disavowing Links is not dead… Yet! Former employee hacks WPML WordPress plugin. Sends email to all users warning of vulnerabilities. The past week has been relatively quiet on the Google Algorithm Update front, although the volatility is higher than the typical volatility seen during the second half of December. 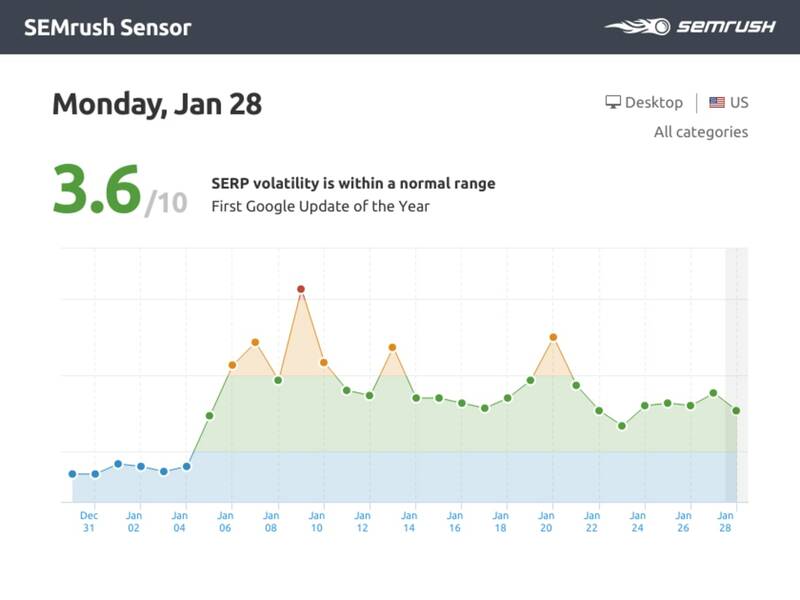 There was a spike in volatility in the SERPs around the 20th January, but I did not see much chatter about this. Personally, I saw a decent uptick in traffic around this time, but it was shortlived. You can find details of all past Google Updates here, including a discussion of the January 9th update that I covered in my previous edition of the Webmaster Newsletter two weeks ago. That can definitely be the case. It’s something where, our algorithms, when they look at it, if they say, Oh, there are a bunch of really bad links here, then, maybe they’ll be a little bit more cautious in regards to links in general for the website. So if you clean that up, then the algorithms look at it and say, Oh, it’s ok. It’s not bad. You only want to really disavow they very worst of the links. If your site is performing well, then I would not use the disavow tool at all. If you previously built some spammy links, suffered from negative SEO, or if your site is performing poorly, you may want to consider doing a backlink audit and disavowing the worst of the links. I personally recommend the SEMrush backlink audit. You can link your Search Console backlink data, and Majestic to get good coverage of your backlinks. 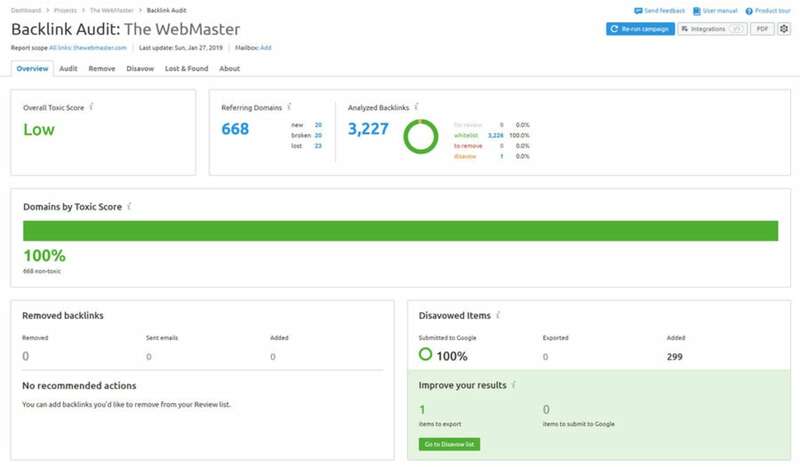 The SEMrush backlink audit tool is very good, and you can filter your backlinks based on various criteria, such as deindexed domains, or link networks. If you want to give it a try, you can sign up to SEMrush with a 7-day free trial here. Just remember to use the disavow with care. In many cases, Google is able to just ignore spammy links, and removing links via the Disavow file risks removing good links. If you do find your rankings drop after disavowing, then you can just remove the “less shady links” from the disavow file and resubmit. Most webmasters will not need to disavow. I only use a disavow file due to prior negative SEO, and even then I was very selective about the links I disavowed. 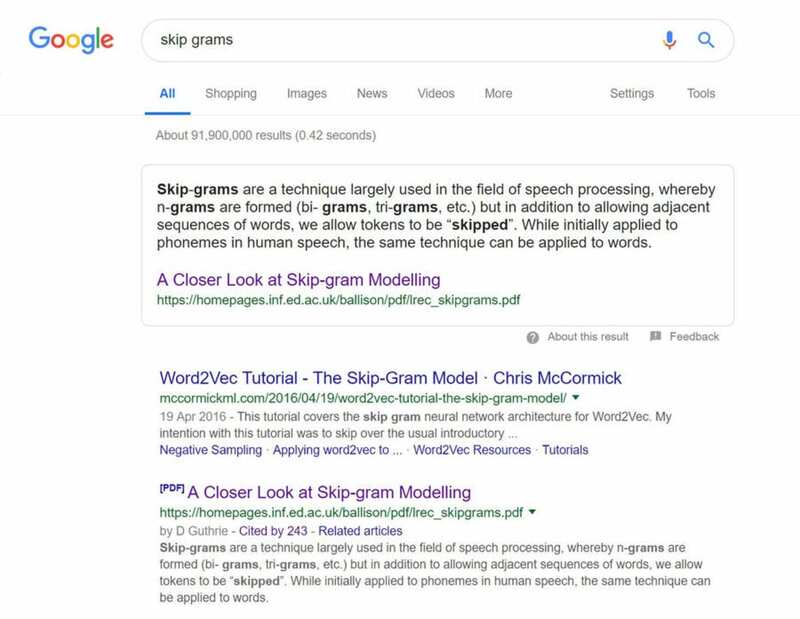 On January 16, 2019, Kevin Indig posted a screenshot of a search result where the PDF content has been used for the featured snippet. Google has been indexing PDF files since at least 2011. Google can crawl PDF’s, follow links in them, and generally index the content (apart from images). PDF’s can even rank as high as web pages. I wrote in detail about the indexation of PDFs (including about the featured snippets) here. In a recent blog post, Google has set out what features and changes are likely to be seen in the Search Console by the end of March 2019. Android Apps features No Replacement. Most features are now in Firebase. Blocked resources report No replacement. Use URL inspection tool. - Google will remove the list of crawl errors. It will change the focus to highlighting only the issues that site owners need to fix. When issues are fixed, site owners can now request the errors to be revalidated, decreasing the time it takes to reprocess the changes. - Google is aiming to bring the remainder of the information from the old report into the new report, specifically for images and video. - New reports have been added, including Jobs, Recipes, Events, and Q&A. Other Structured Data types that are not supported with Rich Results features will be removed. You focus too much on links, imo -- I'm glad that we use 100s of factors in our crawling, indexing, and ranking algorithms. In a question on the Webmaster Central Help Forum, a user asks whether redirecting a domain using 301 redirects to a legitimate domain will have an effect on the reputation of the new domain. However, if you redirect your penalty ridden site to a new domain, then the penalty may flow to the new domain because of the redirects. From a negative SEO perspective, John Mueller has already gone on record saying they usually catch those instances whether a competitor redirects a penalty hit site to yours. There is no fixed timeframe for algorithmic changes to take effect, past the need to recrawl & reprocess pages from the site. In general, these are not penalties, so instead of just waiting, I’d recommend getting objective input from peers early on, eg by posting in a forum. In other words, recovering from an algorithmic penalty should be relatively quick. If you guess a site move can take around 3 months or so to process, I would imagine you are looking at a minimum of a few months. Naturally, this assumes you have carried out all the necessary tasks to recover from the algorithmic penalty. John Mueller suggests many webmasters may be under a mistaken impression here, and that a peer review is sometimes helpful. I recommend posting in the Google Webmaster Central Help Forum. John Mueller is even known to provide feedback there on occasion. There is an interesting article in Search Engine Land which reports that Google has sent out notices saying that it will start optimizing campaigns unless users opt out, seven days after a user receives an email. Aaron Levy, director of PPC at Elite SEM, tweeted a copy of the email. Our sales teams are always looking for ways to help customers get the best results from Google Ads. We are rolling out a pilot program that we believe will help businesses optimize their accounts. As always, we build customer feedback into the final product. Customers are in full control of the account and can accept or reject recommendations as they desire. You can review or edit this change anytime by visiting your Google Ads account. Google doesn’t guarantee or promise any particular results from implementing these changes, including impact on your campaign performance or spend. Make sure you monitor your account regularly so you udnerstand what’s happening and can make campaign adjustments. Is it just me, or does this sound like a terrible idea? WordPress has announced plans to develop a next-generation publishing platform, Newspack by WordPress.com. The new platform is expected to launch near the end of July 2019. With many local news organizations struggling to find sustainable models for journalism, we’re seeing a need for an inexpensive platform that provides the technology and support that lets news organizations build their businesses and focus on what they do best — providing critical reporting for their communities. Our hope with Newspack is to give them a platform where they can continue to focus on what they do best, while we focus on providing world-class technology and support across their editorial and business operations. NewsPack is currently inviting small and medium-sized digital news organizations, including local, single topic, and general interest, to apply to be charter participants in the development of the platform. While there are no charges during the development of the platform, there will be a fee after the launch of between $1000 and $2000 per month. If you are interested, you can apply here. In a document posted to a key discussion list for Chrome), Google said it wanted to restrict Origin Access, so that host permissions are granted at runtime, rather than install-time. Origin Access permissions are used to determine the sites an extension can interact with and will affect many APIs, script injection, cookies and more. This will affect a large number of extensions, including Ad Blocking (For example, UBlock and Ghostery), Accessibility Extensions, and other website enhancement extensions. This would basically mean that Google is destroying ad blocking and privacy protection as we know it. They pretend to do this for the sake of privacy and browser performance, however in reality, users would be left with only very limited ways to prevent third parties from intercepting their surfing behavior or to get rid of unwanted content. There are more changes afoot in the WordPress ecosystem. WordPress plans to change Widgets to Blocks sometime in 2019. There will also be a classic Widget block to deal with third-party widgets that haven’t yet converted to blocks. You can find a more detailed discussion on the proposed changes at WPTavern. On January 19, 2019, the popular WorldPress Multilingual Plugin (WPML) was hacked by an ex-employee who retained access to WPML via a back door. The ex-employee then sent out an email to every user warning of several vulnerabilities and adised them no to store any personal or otherwise sensitive data in the database. WordPress will now show a warning in the admin panel if your web hosting server is running an outdated version of PHP. WordPress currently supports PHP versions going back to 5.2.4, but will now be showing a warning to users for PHP5 5.5 and below. 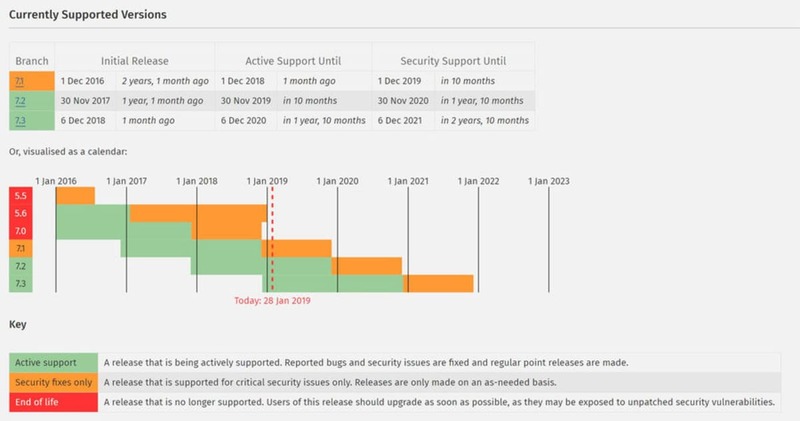 The warning contains a link to a help article with further information on how site owners can update their PHP Version, and what to do before you update (i.e., make backups, check themes and plugins for compatibility using the PHP Compatibility Checker plugin). It is interesting that WordPress is not encouraging its users to upgrade to a more modern version. Now for something a little more fun. I came across an awesome pure CSS Bob Ross doing the Floss, created by Steve Gardner. The Floss has been around for a while, but came to prominence in the popular game Fortnite. Pretty cool, right? Feel free to click the HTML and SCSS tabs to see the code. DreamHost - In a similar method to BlueHost, DreamHost was vulnerable to a cross-site scripting (XSS) attack. Again, allowing the attacker to replace the email, and reset the account password. Hostgator - Again, a similar CSRF flaw allowed an attacker to trick cross-site script countermeasures from running allowing an attacker to modify the email address and reset the password. iPage - This was a unique attack vector, in that the attacker could craft a web address allowing them to reset the account password to one chosen by the attacked. No existing or current password was required, making it a very simple, yet effective, attack. OVH - OVH had a couple of vulnerabilities. Again, they were vulnerable to a CSRF attack, but also their API was vulnerable allowing important data to be read. If I have learned anything from these attacks, it is to make sure to log out of important online accounts as soon as possible, and definitely before browsing other sites on the web, or clicking any links on Social Media or emails. I am pretty sure these are not the only companies to be vulnerable to attacks of this nature. All of the companies (except OVH) have now fixed the vulnerabilities. In Episode 1 of this Newsletter, I reported how Igor Kromin discovered that GoDaddy was injecting a script to provide Real User Metrics (RUM). 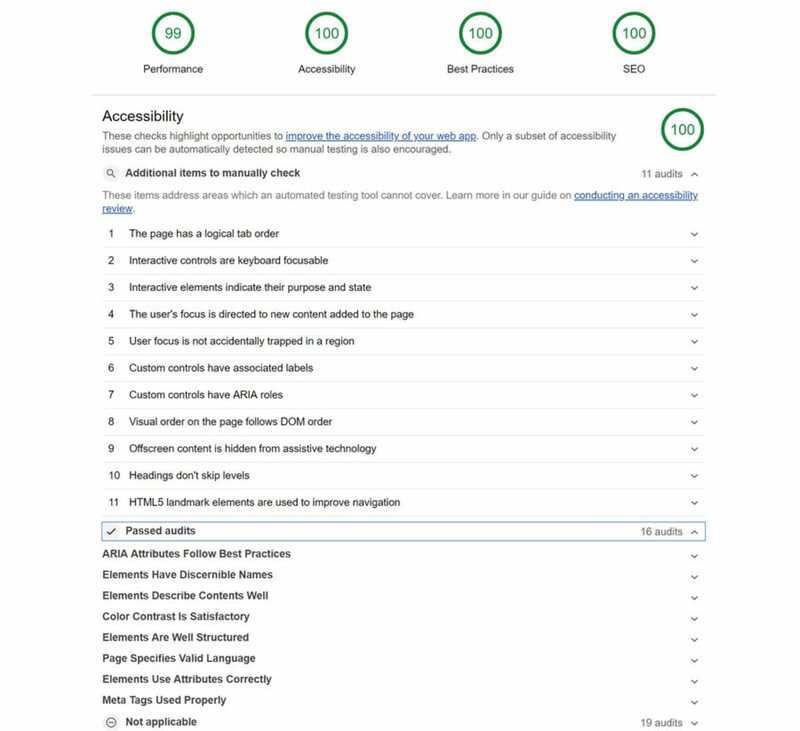 GoDaddy acknowledged in a help article that there is a chance some customers might experience issues or slower site performance as a result. An important legal case in the US has forced Domino’s Pizzas to make their App and Website fully accessible to blind users. The court case followed a complaint by a blind customer who had struggled to change toppings, use vouchers, and complete a purchase via Domino’s iPhone app. He argued that this was in breach of the Americans with Disabilities Act 1990, which makes it unlawful for businesses to deny people with disabilities access to their goods and services unless it would cause “undue burden” to the business. Despite losing the case in Federal Court in 2017, a three-judge appeals panel reversed that decision, finding in favor of the complainant. One of the easiest ways to be compliant is to use an accessibility compliant framework such as Bootstrap or Foundation. There are many other accessible frameworks, but these are a couple of the most popular examples.